Andrew’s management experience extends across arts, sciences and social sciences. 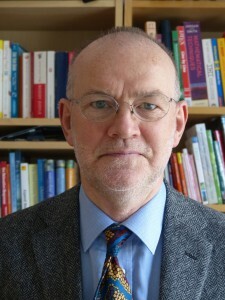 He has led a Department of Psychology and a School of Biology in a Faculty of Science, Agriculture and Engineering. He has been Dean of a Faculty of Social Sciences and Pro Vice Chancellor of a Faculty of Humanities and Social Sciences. Andrew has in-depth experience of the research funding process. His first research grant was a Beit Memorial Fellowship for Medical Research, which he obtained in 1978. His research was continuously funded by fellowships, project and programme grants for the next 30 years. He served on research grant committees for several UK research councils and the Wellcome Trust. The approach to grant writing that he teaches is based on his analysis of how grants committees make funding decisions. Andrew has also worked as a journalist. He won a Science Media Fellowship, which enabled him to work full-time at the Financial Times for 3 months. Then, over several years he wrote two successful columns in the Financial Times. The Nature of Things was about science – from astrophysics to zoology. Psych Yourself Up was a guide to the different kinds of psychotherapy available in the UK. Amanda Parker has also had a successful career as an academic researcher, specialising in the neuroscience of memory and emotion. 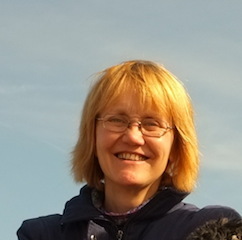 She was a research fellow in the Department of Experimental Psychology at the University of Oxford and at the National Institutes of Mental Health in Bethesda before taking a teaching and research position at Nottingham University where she was promoted to Reader in Cognitive Neuroscience, and at Newcastle University. Amanda is also experienced in grants’ committee work, having served a term on the BBSRC Animal Sciences Committee. Click here for information about the company.